In my generation all education was free, whereas now you have to pay for everything. You should always put something back, particularly in this day and age, so I started sponsoring undergraduates at Cambridge. I gave money to the senior tutors and the librarians so they could provide students with the best possible facilities. You see so many bright young people who have to pass up the opportunity to study at somewhere like Cambridge because they simply can’t afford to go there, so I wanted that money to be used in order to provide the students with the support needed to study there. When I went back to visit the college after I retired I noticed that the facilities in the library were the same as when I left over 40 years before. So I wanted to give money to the library to make everything a bit more modern. I want to make sure the new generations have all the same opportunities as I had, and I hope I can inspire them to become the next batch of great inventors. The University of Cambridge has announced its first Professor of Innovation, who will be appointed on 1 October 2017. In the new role, Dr Tim Minshall will lead the engineers and inventors of tomorrow to see their ideas become reality and change the world. I’m thrilled to have funded this new role and to have met the man who will inspire many future students to embrace engineering. Dr Tim Minshall, who will take up the position of Professor of Innovation on 1 October 2017, has a wealth of experience in Cambridge’s world-renowned engineering, manufacturing and technology sector. 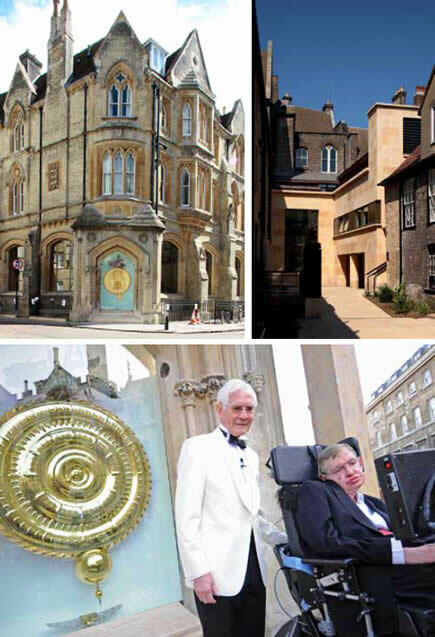 He is currently based in Cambridge’s Institute for Manufacturing, part of the Department of Engineering. Enjoy this new film below that explains the importance of this very important role which will turn blue-sky thinking into commercial realities. Earlier this year the Taylor Centre opened at the Royal Academy of Engineering in London. It’s a very helpful hub where engineers can meet others of like minds and speak to others about their initiatives. 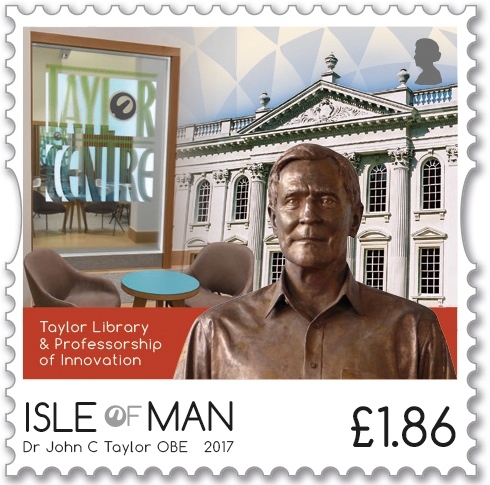 I’m thrilled that the Isle of Man Post Office has captured some of my contributions to philanthropy in one of the postage stamps in their magnificent set, released in September 2017.